watching location, as well as a visitor’s center. The platform along the building is ideal for photography. 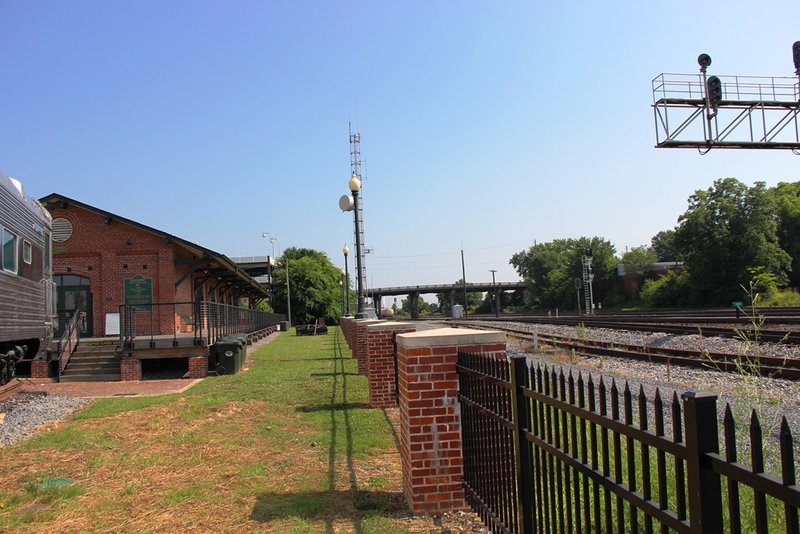 Benches, chairs and tables are available for train watchers to rest between trains. 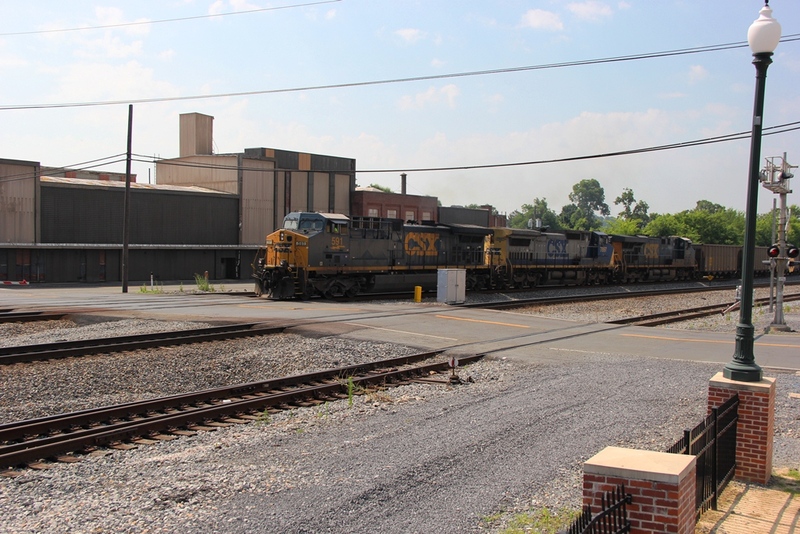 An ATCS video monitor displays the active dispatcher’s board so you know when the trains are coming; a radio audio feed also lets you listen in to the railroad action. 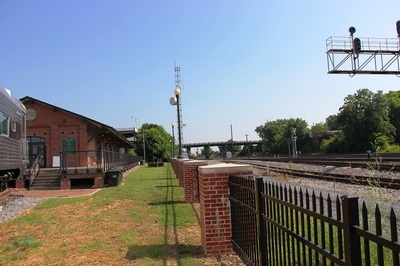 For those who want to watch trains from ground level, no problem; a 4-foot high steel (iron looking) fence protects visitors from stepping foot on the railroad property. 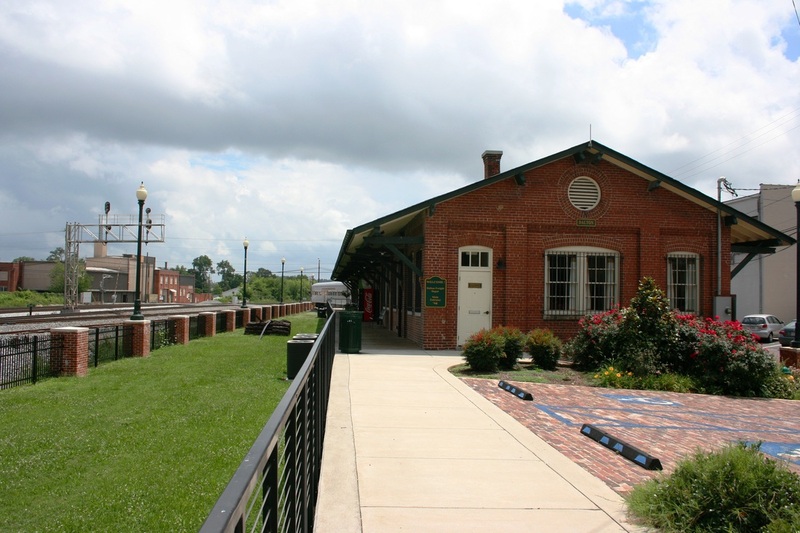 Location Name: The Dalton Freight Depot, located at 305 S. Depot Street in Downtown Dalton. commonly operate with BNSF or UP locomotives, usually with a DPU unit on the rear. 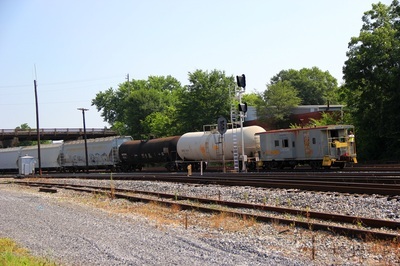 Same set up for the empty hoppers heading back west. horns will be heard! 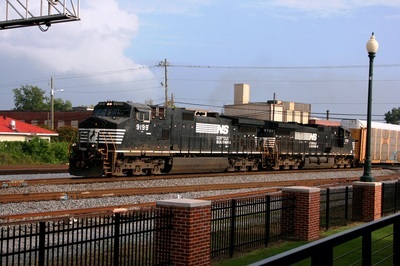 Since usually no more than one train can move through the junction at a time, the traffic is spread out. 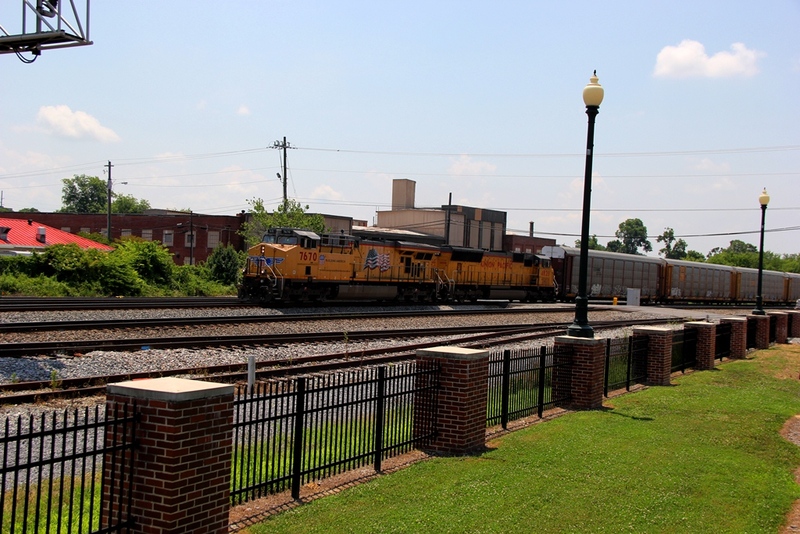 For railfans that enjoy different photo locations, Dalton has a lot to offer. 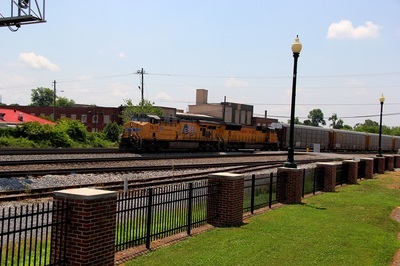 Within walking distance of the freight depot, you can walk to the east side of the crossing for shots, there are a few local road bridges that can be used to capture overhead views, as well as a couple parking garages. 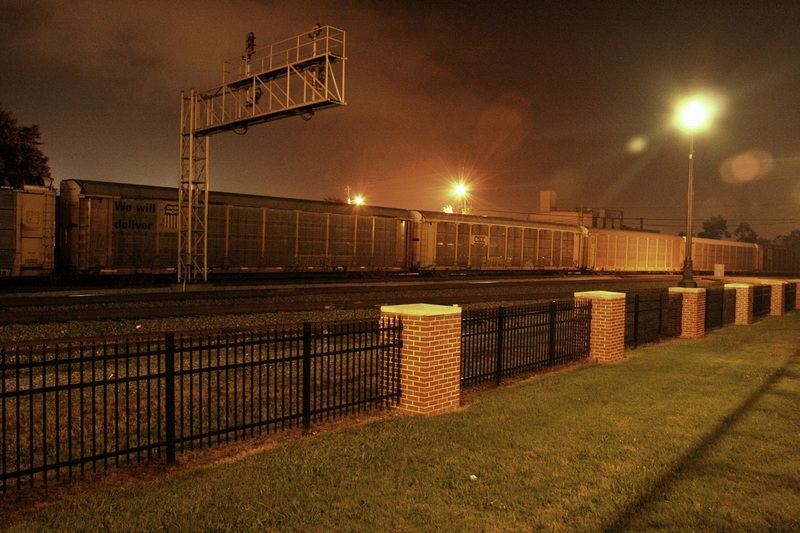 Just remember to keep off railroad property. 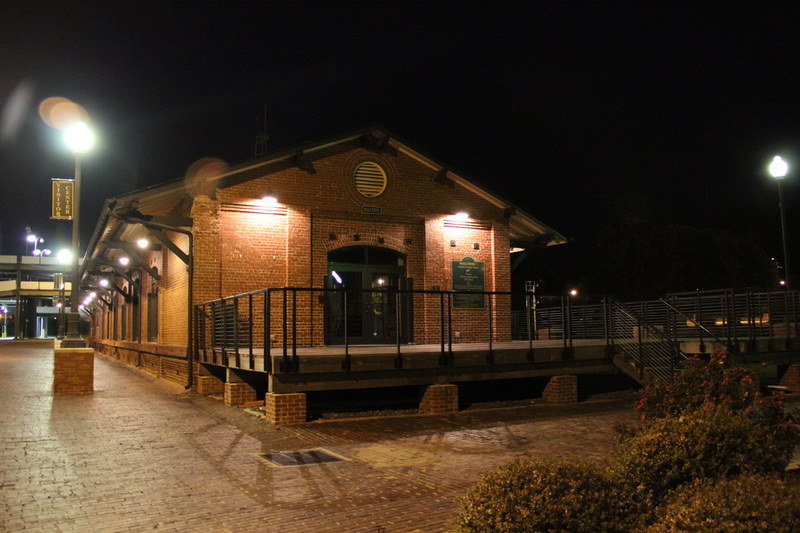 Restrooms on site: Yes, inside the Visitors Center “Freight Station building”, open during business hours. 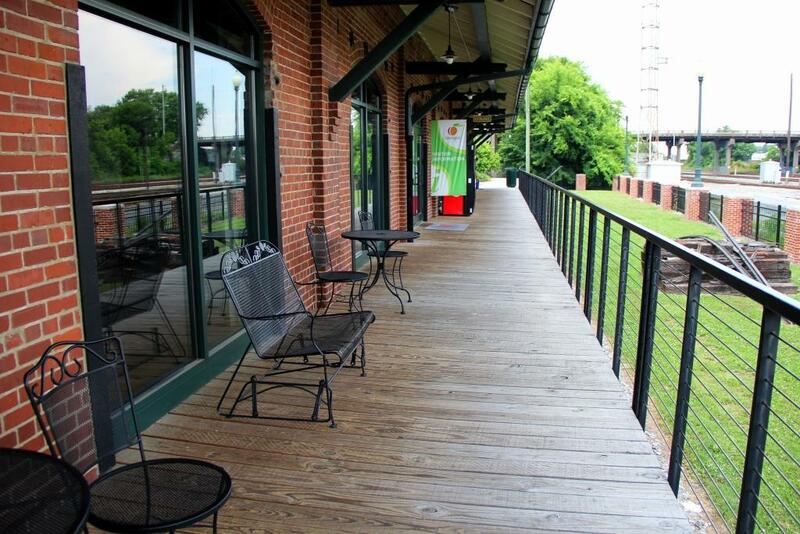 Food: A Coke machine is onsite, food is a short walk / drive from the freight station building. Fast food restaurants are about a 5-minute drive from the site. 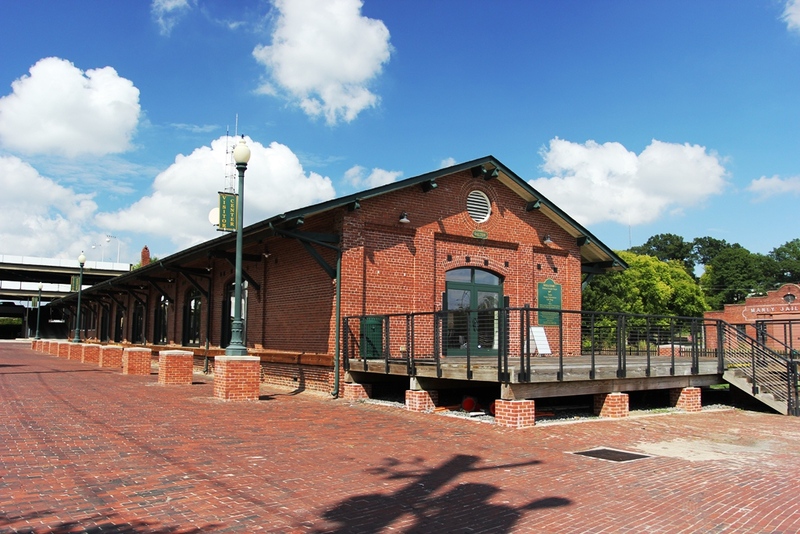 Picnic Area: Yes, tables, chairs, and benches are located on the freight station platform. spread out. No need to worry too many other fans getting in your way of photography or videos. Lighted for evening rail fanning: YES. Its bright enough for nighttime video. Scanner Frequencies: Norfolk Southern: Road 160.950, Dispatcher 160.245, 160.830. CSX: Road are 161.370, 160.590, Dispatcher 161.520, 160.410. Lodge-Dalton, located at 1116 Willowdale Road. 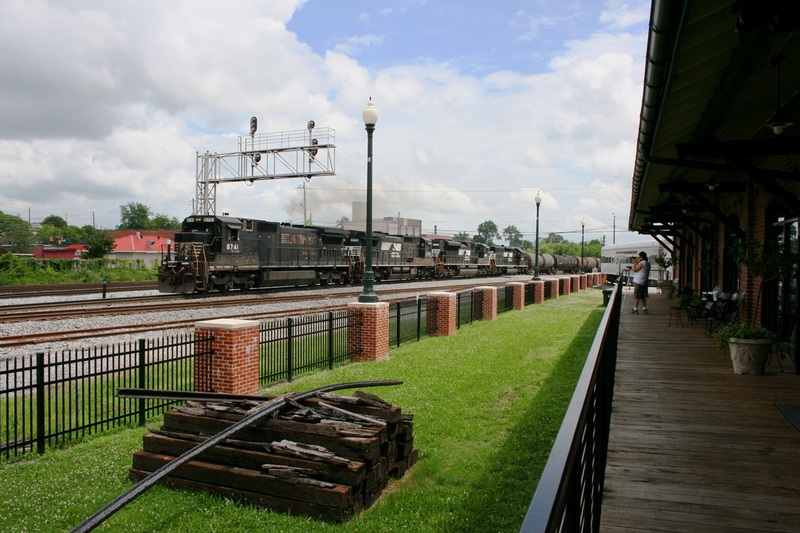 It doesn’t offer the best view, and only one side of the building could offer a railfan view. 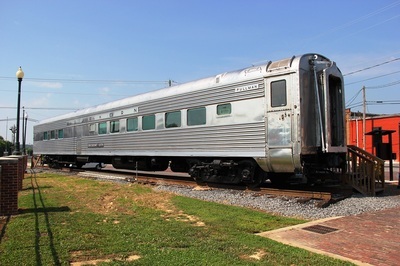 Since we were only able to get minimal info on the Stay Lodge motel and with the access and lighting of the train watching location. 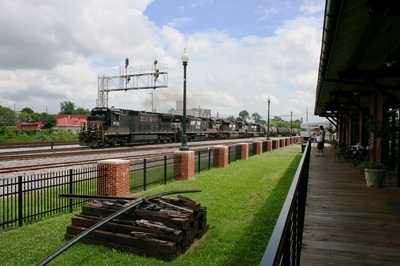 We recommend one of the more popular “chain” motels, and spend more time trackside at the viewing platform. If anyone does stay at the Stay Lodge, please let us know how it was, we haven't yet rated that motel on our main web site RailfanMotels.